The design goals for pitchclip were simple, convenient features and total ease of use. Clip the tuner to your headstock, flick on the power, and you're ready to tune. As you play a string, the built-in piezo sensor will quickly sense the instrument?s vibrations and indicate the pitch in the meter. 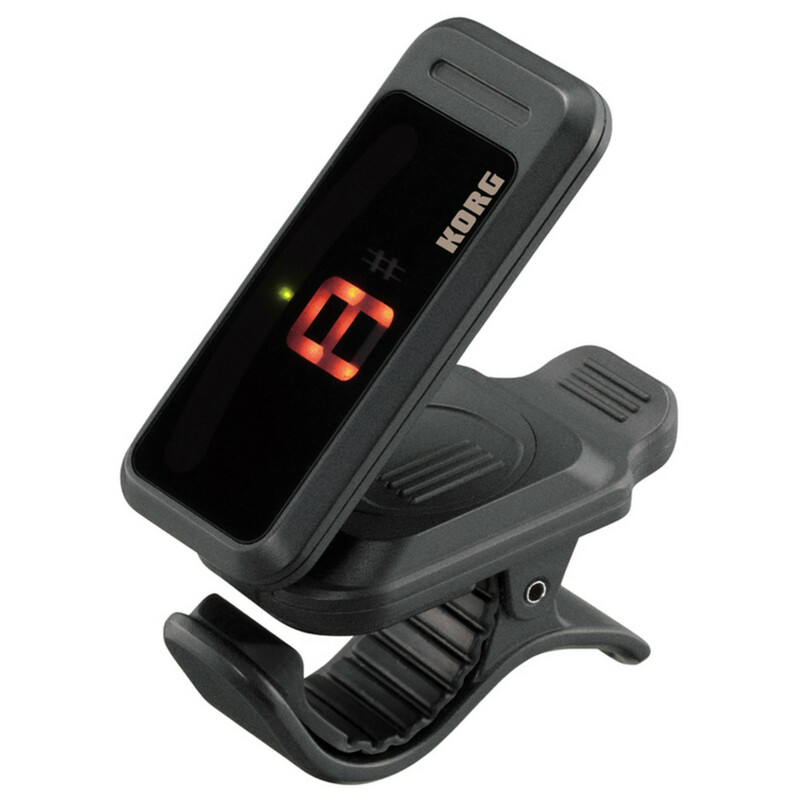 Boasting fast pitch detection and processing, accuracy with ±1 cent, and a detection range that covers from A0 to C8, the pitchclip outperforms many of the clip-on tuners on the market today. Combined with the affordable price and enhanced display, the pitchclip is remarkable value. Dimensions (W x D x H): 52mm x 24mm x 34 mm/2.05" x 0.94" x 1.34"